Being in contact with water is the most serene and cathartic thing in the world. Feeling the sense of utter freedom but also the thrill of the waves is the best combination ever. In this article, we are particularly going to talk about the Dirigo kayak review by Old Town Canoes and Kayak. 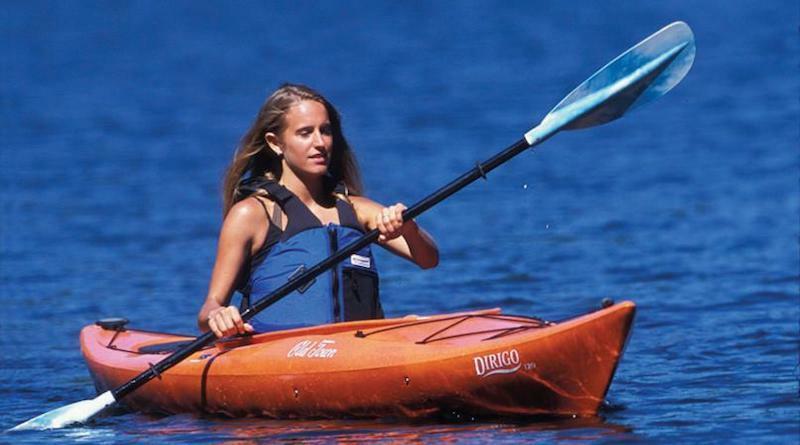 This kayak is a recreational kayak, meaning it can be used for all sorts of things. It is like a multiple uses-in-one kind of a thing, you can take it fishing or to just row and see the amazing view. Here is a quick recap of what we think of this kayak. Old Town has been known for their reliable and amazing watersports products for many years. Just like any other company, they started off small. However, now they make fishing kayaks, sit-on-top kayaks, sit-in kayaks, Old Town dirigo tandem kayak (also known as two person kayak) and they also make paddles & accessories. 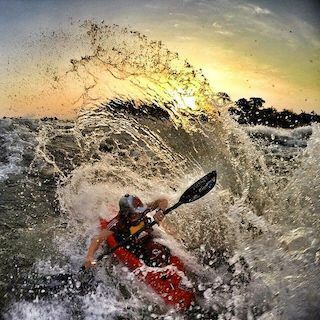 To find a suitable kayak style is not hard anymore. However, finding the right and reliable kayak is a little difficult. Old Town guarantees the solution to this problem because their products are reliable and durable more than any other watercraft in the whole market. Without any more delay, allow us to tell you the details about their recreational kayak, Old Town Dirigo 120. Before making a decision about a product, you must learn about its specifications. The style of this recreational kayak is a sit-in style. This means that your body would be a little bit in the cockpit instead of on it. This kayak is for one person only. So, if you like to enjoy the water in solitude, this kayak is for you. It is made of a strong and reliable material, three layer polythene. This makes it strong enough to resist against any sharp object that may puncture it. It has contoured type sear. It is very comfortable to sit in. The kayak is 12 feet long. If you are taller than the average man, you can still enjoy this bad boy. This kayak is 27.75 inches broad, meaning that you will have enough space to easily sit in the cockpit with full comfort. The kayak itself weighs around 50lb, which is pretty light to carry, transport or store. It can withhold 350lb in it while providing the optimum water recreational experience. This Old Town kayak has a hatch in the stern where you can store and carry your gear with you. After specifications, the most important step is to know about the features of the product. Dirigo 120 has a built-in glovebox hatch. This hatch is safe from water completely so you can use it to keep your mobile phone and keys etc. It has a line that makes you aware of what is the safe zone of the kayak. Old Town’s kayak also has retractable carry handles each on the bow and stern of the boat. These make the boat easy to carry for you. The kayak has paddle keepers near where you would row from. Due to this you can keep the paddles near you for convenience. Old Town makes sure that you are safe. The kayak comes with thigh pads on each side so your body remains safe from the reach of any sort of harm. There is an installed cup holder as well. With this, you can carry drinking water, tea, coffee or any sort of beverage on your trip to the waters. The hull is designed with full support material for stability. Plus, it is colored in a two shade way to make it look like a black cherry. The boat has a drain plug in it so that the water that splashes inside the kayak does not stay in it. This makes you safe from the kayak getting too heavy to float on the water. Now that we have discussed the specs and features of this recreational kayak, let us look at some of its pros and cons as they are also one of the biggest decision influencing elements. It has an built-in and special hatch that you can use to keep your gear and phone in. Easy grip thigh pads that offers excellent initial stability. It has a moulded cup holder. It is safe from drowning due to the drain plug in it. Its light weight makes sure that you can carry it here and there. It would be easy to store as it is not so large in size. The material is made of makes it very durable and long lasting. You would have to buy separate pedals with it. If you do not want to enjoy the water alone, this kayak is not for you as it seats only one paddler. Every product needs some accessories; it is just like buying clothes. You buy a top and you have to buy all this bunch of other matching stuff with it. Whenever you go out in the water, it does not matter if you are a beginner kayaker or an advance kayaker, a life jacket is a must. It is more like a necessity than an accessory. Old Town provides you with the best life jackets, especially the Women’s Solitude for women. If you are a female, check this article out. Every boat needs a battle and a kayak needs a paddle more than any other boat. Old Town offers two types of wonderful paddle, Casco Hybrid 220 and Acadia Hybrid 220. A boat without paddles is just like a poor man without any arms or hands. So, you must get the paddles with your kayak. To keep your gear safe from water, you need dry water bags that would keep the water out and save your gear form getting wet. If you have issues with your back or if you get tired of sitting with a hard surface behind your back then you also might need a padded seat back as an extra cushion. With this, your back and spinal cord would be safe from any jerks those strong waves might have to show you. The necessity of all trips and adventures, the first aid kit. Specifically when you are in the middle of big water bodies and are rowing a one-paddler kayak, you must carry a first aid kit with you. Being injured and rowing a boat could be difficult and dangerous for you. Even though it is extremely light weight considering all the other kayaks in the market, it will still be better if you got a kayak carrying cart for your kayak. With this cart you will be able to carry, move and transport your Dirigo 120 around as much as you want without getting much tired. Before buying any kayak, one should always look at what the other buyers and users have been saying about it. Based on our research, most dirigo kayak review are positive. People praise them and recommend this kayak to their friends and family. This recreational kayak has got 100% great reviews and not even a single bad review, not even one. All of their customers have given Dirigo 5/5 stars. They said that it was very much worth the money they spent because the kayak was of excellent quality. People said that it works great on water and is very stable as well. For us, it sure is a good and comfortable kayak that's perfect for flat waters. 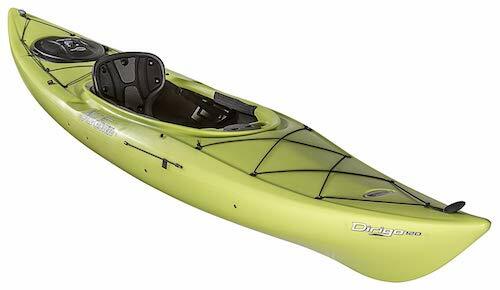 Do not wait much longer and grab this kayak before your next water adventure.